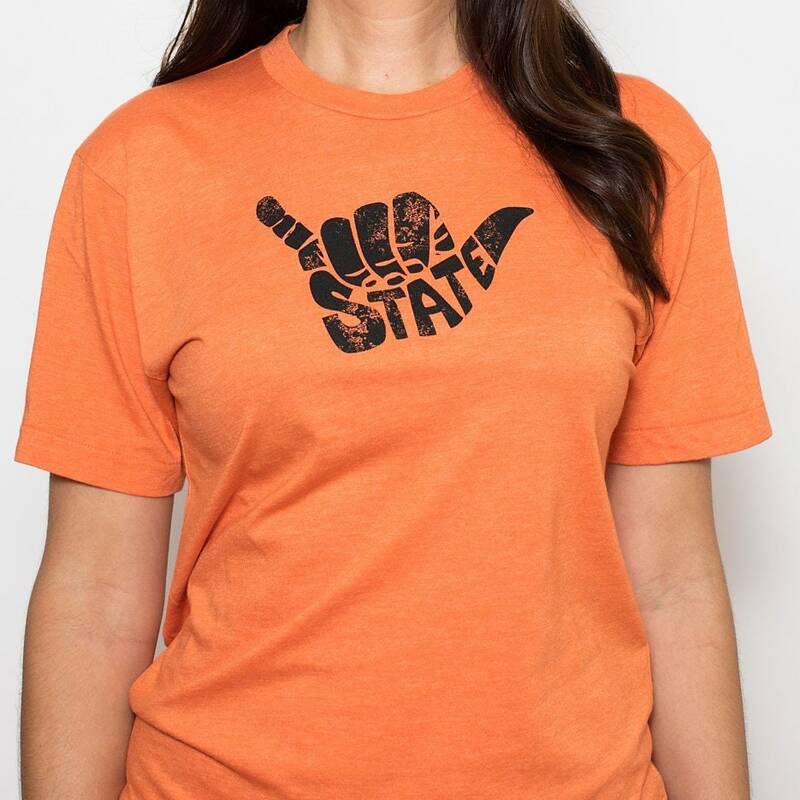 I MISS MY COLLEGE is on a Hawaiian vacation with our new SURF STATE - Hawaii Shaka tees! The pinky and thumb salute tells fellow fans to "hang loose", "chill brah", "ALOHA"! No matter what state you're from, we can all be in a SURF STATE of mind. 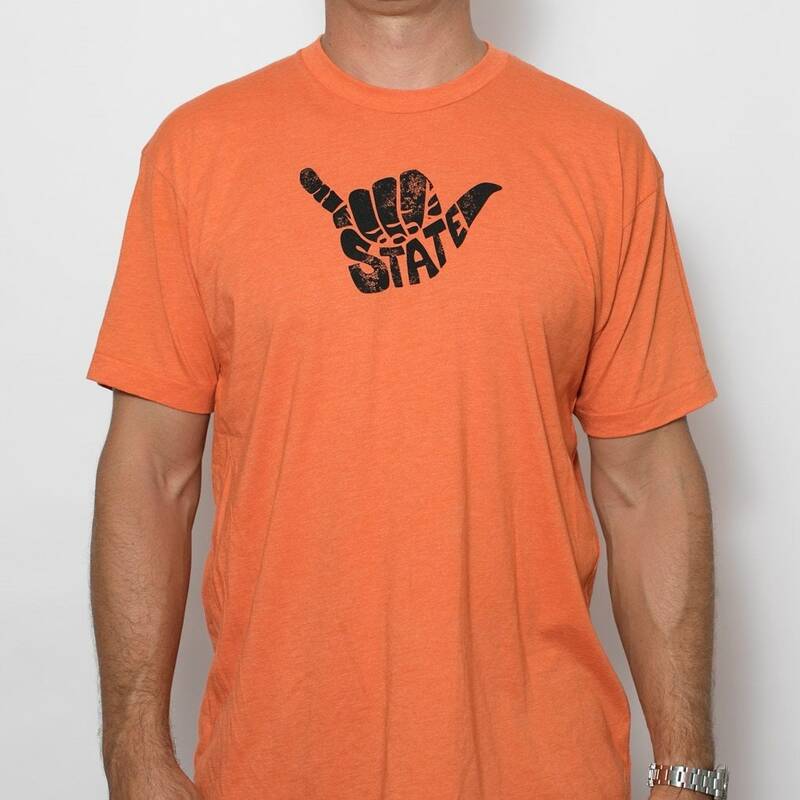 SURF STATE tees are the most durable, super soft, and light as a feather. They are 50/50 blend, unisex tees. Don't be alarmed by unisex sizing, for most people ordering the size you would normally order will serve you well...just expect to look more amazing in our shirts than in a ho-hum beefy T.